iRaw is a vegan snacks manufacturer committed to zero food waste. Their 17 products are growing quickly. 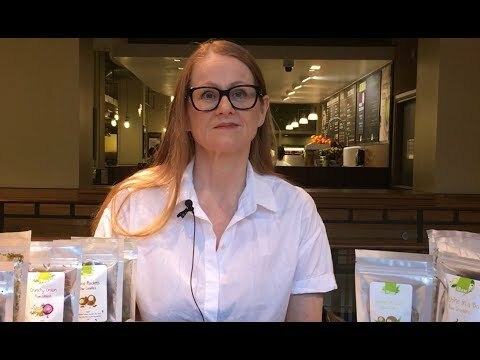 Launched by Asa Bjornsdottir in 2017, iRaw has 17 unique raw vegan products which are selling in over 50 independent stores and chains across the UK. iRaw is organic certified. iRaw also has 27 products which are not yet launched. One of these which will be launched in April. You can fund Asa's next production run. She is making 80,000 packs of products in the next 3 months. You can fund her production and earn 8.3% in just 6 months. You'll also become a Friend of the brand. iRaw Healthy Habits successfully raised £20,000 to fund the production of 80,000 packs 392 days ago. Check back soon for more offers. iRaw Healthy Habits has requested an additional month for repayment to PimeStox due to issues with new packaging which affected her sales. PrimeStox is requesting documentary confirmations of statements that have been made. Provisionally, the iRaw offer has been marked as in "Extension". Further updates to be provided to investors during week commencing 1st October 2018. Asa Bjornsdottir has been vegan for 20 years and raw vegan for 14 years. She founded iRaw as a way of minimising food waste. She found she could make unique vegan snacks in a way which minimised wastage. Her dehydration method is preserves enzymes and maximises flavour. The result is a delicious vegan snack with a 12 months shelf life! Asa invested in equipment to upscale production and she now has the capacity to product 2,400 packs per hour. iRaw won three awards including winning in the Best Green Snacking category at the World Food Innovation Awards in 2017. The company also began selling in France and Spain. Today iRaw is growing rapidly and requires funds to pay for its new production. 30,000 pouches of new product. 50,000 packs of existing products. 100% natural, 12 months shelf life. No refined sugar, suitable for halal & diabetics. iRaw is currently selling approximately 3,000 packs per month. The average retail price is £3.00 across all her products. In the next 3 months iRaw is launching in a major UK supermarket, in a specialist catering distributor and starting selling in Scandinavia. The company is also launching a new product which has attracted significant interest because of its low calories. In total iRaw will manufacture 80,000 new units of product in this period. This includes the new product and existing bestsellers. iRaw is raising £20,000 from PrimeStox investors to fund the production costs. This covers raw material, labour and packaging. In 3 months iRaw expects sales to be over £30,000 per month, based on orders in the pipeline. iRaw is proposing to pay back investors in 6 months plus a profit of 8.3%.The offer is fully backed by stock of iRaw's products.